Our sweet little Zee Family blog has been nominated for the Liebster Award! Fellow Momma Jess from Give me Strength, a heart-felt blogger, warrior, balancer of all crazy things in this life, put this blog on a growing list of talented, funny, beautiful people in the blogging community to have received this acknowledgement. 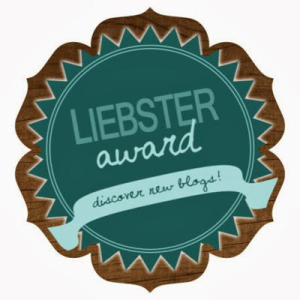 The Liebster Award is meant to encourage and promote other bloggers within the blogging community. “Liebster,” a German word, means sweetest, kindest, nicest, dearest, lovely, pleasant, valued or welcome. YES, I screamed into my phone’s FB app. And then I proceeded to write a probably very long response comment about how it is a calming therapy for me and how much I would love to see what she had to say. She did not disappoint. Her blog absolutely lives up to the tagline “laughter and encouragement…” She writes consistently, which I appreciate, and honestly, which I admire. She has made me think for hours after I leave her page and I’m off doing some chore or task. OK, so this award has rules! And I’m trying desperately to be a rule follower, not breaker, in my old age! 6. Give those bloggers 11 questions to answer. 1. What is the one thing that you want most to accomplish this year? Balance. Did I answer that too quickly? I’m getting much better at it all — mom, wife, housewife, photographer, Mary Kay, family, friends… sometimes I can’t do it very well in one day or one week, and often, I forget to take care of me! I’m highly considering a day or weekend completely away and all by myself, disconnected! GASP! 2. What is your favorite quality about yourself? I’m caring about others, almost to a fault. I love making people happy, I love the idea of memories and traditions. Sometimes, I definitely set expectations too high. 3. What is something that is guaranteed to make you laugh? 4. When you want/need to relax, what do you do? Oh man, relaxing rocks! I like any and all of the following: coffee or tea, a good book, an old classic movie, crocheting, a walk or run outside, taking photos, calling someone just because, or just a random drive. I’m not very original! Last name starts with “z!” Zee Family! In the very beginning of this blog (I actually had two earlier versions of this blog! ), I even did things like “zee baby” and “zee house” — man that got old really quickly! 6. What or who inspired you to begin blogging? Keeping in touch with long-distance loved ones and creating sort of a virtual recap of our day-to-day lives for the kids to enjoy one day. 7. Name your guilty pleasure. 8. What is your least favorite household chore? Either emptying the dishwasher or putting laundry away. I love washing dishes by hand and I really don’t mind doing or folding laundry. But I hate putting all those nice warm clean things away! Weird. 9. Do you utilize social media as a blogger? If so, how? A bit here and there for this blog, mostly just on FaceBook. With my photography blog and business, I use Pinterest (to share ideas with future clients), Instagram (to share a lot of behind-the-scenes moments) and FaceBook. 10. To date, what would you consider to be your greatest accomplishment? Being a Mom. Seriously, this is a great job. Super difficult. So frustrating sometimes. Always questioning yourself. But I love every moment I have with Z & A. Lately, I’ve been doing a lot of Etsy shopping, but typically I HATE shopping. My most recent purchases are 90% for my photography or for someone else! 1.I have an insanely blended/mixed family. Dad, stepmom, two stepsisters, a half-sister, a half-brother and a gaggle of nieces and nephews. I grew up with an entire family that I wasn’t even related to and I LOVE them beyond words because blood never mattered. 2. I am so addicted to coffee. I typically have at least two to three good-sized cups a day. A couple of times a week, that goes WAY up. I couldn’t even quit 100% during my pregnancies. Doctor said all of the side effects were not worth it, so I went down to one cup of caffeinated and sometimes a decaf or half-half cup. 3. Despite my love of coffee, I’ve never been to the coffee shop that’s literally like five blocks from the house. I need to do that. 5. … because I’ve talked my way out of them. 7. New England is my favorite place in the world. I love the history, the culture, all the great writers from there. And I love lots of snow and mountains. 8. Despite my love for reading, my lowest grade in my first 12 years of schooling came from 6th Grade Reading. Ms. Grob said I was terrible at comprehending what I read. I cried over that C+ for a solid week. 9. Hurdling was a bad life decision. I did it to help out my team my senior year of high school. I absolutely sucked at it, first of all. But, because my technique was so poor, I wound up getting a torn hip flexor on one side and bursitis in both hips. I feel it to this day. Also, one day I ran into a hurdle so hard that I fell back completely onto the track and tried to regroup before anyone noticed. But my blood-soaked body and limp gave me away. 10. I love to laugh. I’ve been known to belly-laugh and snort. 11. Nicknames include: Wendell, Coal Car, Gemela, Dubya, Breezy, Baby Girl, Pookie. 1. What has been the biggest surprise in your blogging journey so far? 2. What three things in a “typical day” make you happiest? 3. Share a favorite photo with you in it. 4. Where’s your favorite getaway? 5. What most concerns you about the next generation? 6. Do you have a favorite Christmas tradition? 8. Who was the last person to encourage you and how? 9. What’s been the most important lesson you’ve learned this year? 10. Where do you see your blog in five years? 11. Have you ever hit “publish” on a post you regret? Then, a nod to Puss ‘n’ Boots, the feisty feline from the Shrek movies, almost caused me to fall out of the tiny little twin bed. And as I’m wiping away tears of laughter and snorting like a lady, she holds my face in her hands and looks at me very, very seriously. His eyes are so heavy and he’s barely even sucking on the thumb in his mouth. He opens one eye, mouthes “Momma,” and he’s out with a smile. I pet his hair a few times and listen as his breathing goes to that sleeping place. The ‘babies,’ though I still call them that, rarely let me have the baby moments now. They’re stubborn and strong-willed and independent in so many ways and I love that. But I miss the quiet moments, the singing, the giggles at bedtime. I miss being the last thing they see before a good nights’ rest. In this time of gratitude, I am so thankful for them. And the huge spectrum of moments they bring to my world. The good, the frustrating, the emotional, the pulling-my-hair-out ones. I wouldn’t trade a single one in, for they are part of the bigger picture of being blessed to just be their Momma. To wake up and fight off sleep and reach clumsily for coffee while simultaneously urging a four-year-old that he can not wear only a diaper and boots to school while his little sister puts her Cheerios in a sand bucket and shouts to no one in particular something about a dragon stealing her amulet. I’m grateful for Scott and his hard work, for allowing me to stay at home and fulfill some dreams for a while. Dreams of photography and these moments with the “babies.” I’m grateful for so many loved ones who reach out when I need a “right smack bottom” (It’s a Shrek thing) or need to vent to someone; to the family and friends who love me more than I think I deserve sometimes; and the ones traveling to be with us for a belated Thanksgiving celebration this week. But of all the things in my life, I’m so very thankful to me — to the woman who, in rare beautiful moments, forgets fears and ignores the mess on the dining room floor and remembers to live THIS moment, be the Momma they need and I want to be and still not lose sight of the things that make me me. Those moments — singing and giggling and whispering secrets to a sleeping blonde boy — I swear it’s for those moments that I am alive. I swear it’s those moments I feel most alive. Be thankful. For the moments you have. Stop and smell the coffee, or at least see if you can get to the Keurig machine with a smile on your face. Start there, pause, look around, and voila. Your thankfulness lies in front of you. I very often share our world here; how DS plays a role in it and how Zack and his sister shape it in so many different ways. But today is World Down Syndrome Day and our little Zack Attack, 3 1/2 years old now, doesn’t just change the ways his mother and father think; he doesn’t only make his sister Addie smile. No, our boy has touched many lives and warmed many hearts. After Zack was born, I promised myself, hands clenched in fists alone in a hospital room, my son cooing in his bassinet nearby, that I would spend every day of my entire life opening doors for him. Yet, as evidenced by the outpouring of love shared below, Zack is the one opening doors. And eyes. And minds. Zack is the one making a difference. Please consider a donation in Zack’s honor to the National Down Syndrome Society HERE. Zack’s diagnosis was devastating! No way around it! Broke our hearts and broke our hearts to watch Scott and Wendy trying to be so strong. They were strong because Zack needed them to be. This precious child was placed in their arms and he was their son, no matter what, for now and forever. Through her research, Wendy learned everything she could about Down Syndrome and connected with other moms of DS children. She also started blogging to allow her to share her feelings and work through the roller coaster ride of emotions. One of the most amazing things that has come from this experience is that we have gotten to know so many wonderful people. First it was the Early Intervention therapists, who came to the house and worked with Zack but also let us share our thoughts and concerns. They were amaziing and became like extended family. Their care and affection for Zack was evident as his face would light up when they came to the door. Now he’s in preschool a couple days a week. His teachers and the other children have taken him in with open arms and support and encourage him. Through the local IU8 program, Zack is getting continuing therapeutic exercises as well as speech therapy. The atmosphere at both locations is one that teaches respect, kindness, patience and understanding. We are so fortunate that Zack is in such caring environments. Zack is amazing! He has come so far in the past 3 1/2 years. Have I mentoned that he’s absolutely beautiful? From the angelic face with blue eyes and blond hair lost in concentration as he’s reading a book or watching TV; to the mile wide smile and laughing eyes that greet me at the door with a shout of “Gammaw” as he runs to wrap his arms around my legs. Moments I will treasure forever. But Zack’s just getting started; he has the whole world in front of him. He will learn and grown and be whoever he wants to be. I have no doubt about it. He will thrive because he will always have his family behind him to pick him up when he needs picked up; to push him when he needs to be pushed and to encourage him every day of his life. I remember when I heard that Zack was diagnosed with Down Syndrome feeling my gut sink to the floor. I couldn’t believe it. I remember feeling a sense of guilt for the rest of us having healthy children and then I stopped and thought about what the Zooks had to be feeling. Becoming a first time parent is tough enough emotionally and physically let alone hearing anyone say that there is something wrong with your child. Without Zack being born I don’t know that I would have the relationship I do with his mommy today. I feel we bonded over Zack and other things we have way to in common. We grieved together whether we realized it at that time or not. I was hesitant to talk about Down Syndrome with Wendy at first. I never wanted to make it all about Down Syndrome because it was about the blonde mohawk blue eyed boy that we all love, but I didn’t want to ignore Down Syndrome either. It was now part of their life. I was scared for Wendy, Scott, and Zack. Parenting is unknown territory. We all try to prepare ourselves however it is usually a day to day fly by the seat of our pants rollercoaster. When you are pregnant we daydream of what the days will be like as our children grow. All of these hopes and dreams we have for children. I see your family as motivators, advocates, loving, kind teachers. Zach is such an inspirational little man. He is a loving, adventurous, mischievous, curious little man and I have all the faith in this would you as a family will give him every opportunity to him to be independent. He has taught us all to appreciate each day and brings a smile to my face each time I see him. I think of the lessons he will teach all of our children. The way society is today I know there will be struggles and bullies; however I know he will have a strong support system and I hope my children are standing beside him to stand up for him and cheer him on every step of the way! Wendy, I have been trying to think for days of what I would like to say about Zack. Not that I know this little boy as well as most people do but I think I could say I had a personal interest in the care of Mommy while she carried this lovely little man that we all get to see today & are bless with. Like some when I first saw Zack I had no idea that he had Downs, maybe be cause I could not get past that wonderful smile, those eyes, and of course Wendy you know, when he reached out for me to hold him “WELL” OMG The boy might as well & he did that very day took a piece of my heart and has had it ever since. And I think his mom knows this because now she uses this lame excuse of him being in school for me NOT to be able to see him!!!! LOL I love you guys & was BLESSED the day you came to see me. Wendy’s sister Shelby: I spent the weekend with him and it wasn’t until I saw a post about him having Down Syndrome a few weeks later and asked (brother) Shamus if he knew and he said yes. I never thought that he was anything more than my mohawk man. Charity, Zack’s Occupational Therapist/Wendy’s friend: Oh what to say about Zack! When I first met Zack he was a happy little boy who was having some trouble with solid foods. He had a hard time biting off pieces and chewing and Scott and Wendy wanted him to be able to eat with them. With a little practice and patience Zack was chowing down on his goldfish, jello cups, crackers, and cheesies in no time! Zack amazed me every week I saw him. I would come in to see him for OT and he would be doing something new or would have learned a new trick. He quickly learned how to feed himself with a spoon (of which I think the most fun was practicing in the bean bin and Zack throwing them all over the living room!). I was so excited for him when he learned to use a spoon and fork all by himself. Soon he was drinking out of a straw cup. Although this wasn’t my “area”, I also remember Zack saying some of his first words, like “ball” and Zack learning to walk and climb the steps…and although he has down syndrome he did ALL of this in only a short year and half that I was able to see him. When I ran into Zack recently at his new school, I was AMAZED at how well he interacts with the kids, completes his school tasks, and most of all I was sooo proud when he sat up to the table and fed himself his lunch and drank from an open cup with no problem! Zack is such an amazing little man and I sure do miss seeing those smiles every week and watching him torment those cats at your house! Zack has such a bright future and you and Scott and his grandparents and everyone else in his life had made and will continue to make Zack a great little man! I can’t wait to see what the future has in store for Zack! Wendy’s cousin Andy: I really don’t think of Zack having Down Syndrome…to me he’s just a cute adorable kid..he can at least figure out a smart phone which is more than I can do now! 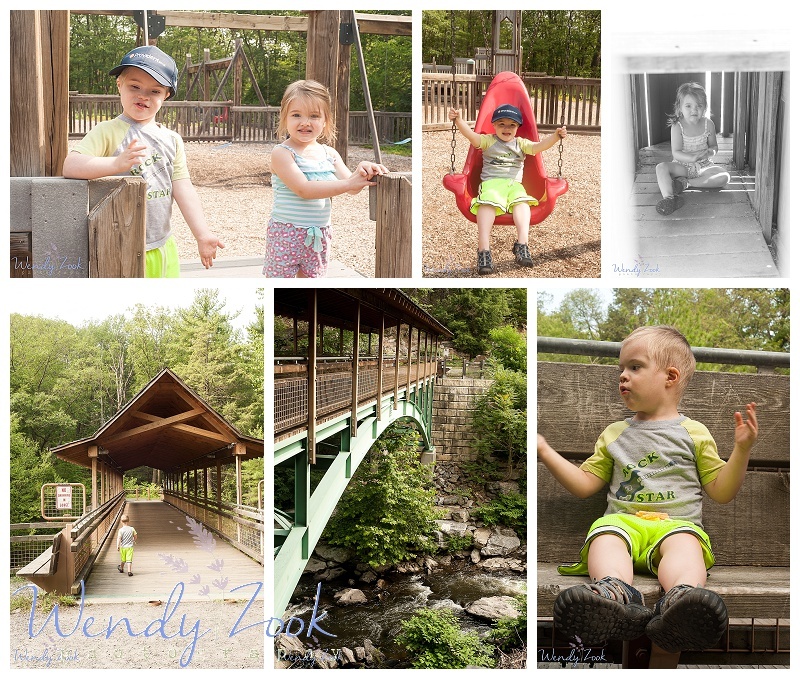 Wendy’s friend Reva: I think back on being pregnant along with you and the expectations we both had of motherhood and that always takes me to the day we brought Owen home which was the first time we had heard about zacks diagnosis. I remember just sitting on the bed holding my newborn baby and I just bawled my eyes out. I cried out of fear, cried for Zack, cried for Owen, but mostly i was so upset for you Wendy. I cried because I realized that everything we couldn’t wait for with our boys would be changed for you completely. It took me actually sitting down and researching Down syndrome and it took talking with you and it took holding and bonding with Zack for me to realize that Down syndrome was not this big scary end to a perfect boys life but that it was something so amazing and so wonderful and something to celebrate every day. We have watched how in nearly 4 years Zack has become this beacon of light for your family and the most inspiring thing about it all is that through every one of zacks milestones big and small your entire network of family and friends celebrate with him. Our kids play together and will grow up together and will always have their Own little support network. We all know he is going to do great things with his life and I know I personally can’t wait to be able to say I changed that kids diapers lol! I watched him grow and I was there when he learned To crawl and walk. I’m so thankful to have Zack in my life because he reminds me everyday to celebrate this life I have no matter what. Zack’s Sensory Therapist Kristan:I think Z is awesome. I am just starting to get to know him but he is super smart and is going to do very well in school. His personality cracks me up. My favorite is when he sings into his toy microphone (whatever he can find to resemble) and bobs his head while making up his own tunes. Wendy’s friend Allison: I had never known anyone who had Down Syndrome before Zack. I didn’t know anything about it, but that the kids who had it were “different.” As I grew up and learned more, I discovered the value of seeking information and now can appreciate just how “different” these folks are. They are kind in a world of ugliness, generous in a time of selfish entitlement, loving and affectionate to people they barely know and can put a smile on the faces of a million strangers (which you know is true if you’ve ever seen a FaceBook post from the Down Syndrome page.) I believe there are a lot of things to learn from kiddos like Zack…patience, persistence, and shear, unadulterated happiness. He’s a special guy for a lot of reasons and I feel blessed to know him and his family the way that I do! Wendy’s cousin Melaney: I actually do think of Zack as having Down Syndrome and how knowing him has expanded my awareness; my awareness about DS and the unique strengths and struggles of children and adults living with it. Zack is also a sweetie who is just as cute and lovable as can be who I am lucky enough to have in my family. Wendy’s friend Lindsay: Zack is the first child with Down Syndrome that I’ve had the opportunity to know on a personal level. The way he smiles, his eagerness to know and learn about the world, and the way he loves his sister and pets are just a few of the things that showcase his sparkling personality and huge heart. Looking at Zack is like looking in the mirror at the pureness and goodness we were all born with. He’s a beautiful child with a beautiful soul and it’s been amazing to watch him grow, thrive, and tackle new challenges! Wendy’s “uncle” (B)rick: This is a little easier for me to answer because of having my own special needs child. When a special needs child is born to a family who really has never experienced such a situation there is a fear that looms over everyone. Basically, it is a fear of the unknown. Everyone does not know what to expect. The fear can be crippling in some aspects,more so to relatives than to the mother and father. A mother and father while experiencing the initial trauma of the unexpected, sooner rather than later, adjust to the fact that in the game of life, they have been dealt a wild card. Parents, while being overwhelmed with there fear, adapt as they begin to reap the unique love that a special needs child gives on to them. The relatives, however, need to be guided through there fears. The parents need to expose there child to the families and show the bravest of faces. We can only hope that our relatives are brave enough to face the unknown. These children really have no concept of their uniqueness. They go forward through life with the loving encouragement of all who surround them. My daughter, being so severely challenge, has been the most difficult of experiences. My family, while they tried, have never truly adjusted to the situation. This is honestly justifiable due to difficulty they experience in trying to communicate with Chris. As you know through your own original fear and experiences, the dread is quickly dissipated as you show love to your child and he in turn begins to return your love. You will always run into people who are unable, or unwilling to deal with such situation. You can only drive onward with life and do the best you can with the card you have been dealt. Never assume that Zack can’t do anything. Children have a way of surprising us. Wendy’s friend Nicole: I’ll always remember the night I learned that Zack was born with Down syndrome. Two little words seemed to bring our worlds crashing to a halt, bringing us to a scary unknown. For a little while, those were the first two words that bubbled up to the surface when I thought about Zack. The words were as foreign to me as they were to his parents, and they and their family and friends grappled with this new reality. But you know what? It’s been three and a half years and those two words are just that: two little words. They in no way define that amazing little boy. Now, what I remember the most when I think of that little boy that lives 500 miles away from me is his infectious laugh. He has this bubbly laugh that builds up as he gets going, and it’s so joyful and contagious that you can’t help but burst out laughing yourself when you hear it. And now his sister has the same laugh. I remember how Zack always grabs the iPad when his mama and I skype, and how he’ll march it around the house. I’ve gotten some really good tours of their ceilings, as well as some slobbery internet kisses that way! I think of his soft blond hair, the kind way he has with the cats, how much he loves to settle in and read in his special little chair. I think of the mischief maker and all the little messes that he gets himself into as he’s exploring his world. I don’t think of DS. It’s there, but it’s under the surface. That’s what he and his family have taught me over these past few years. They’ve opened the door to this whole new world of acceptance, of inclusion. I’m ashamed to admit that when Zachary was born I was disappointed to learn that he wasn’t going to be a “normal” child but he proved me so wrong. Who are we or rather, who am I to say what is normal? When I held him in my arms for the first time I realized I was in love with him; my third great-nephew, my late sister’s grandson. Zachary makes me laugh, fills me with love, and is the greatest joy that I never knew could happen. This little boy with the extra chromosome is such a smart boy, such a happy boy, such a loving boy and we are all better for it and so blessed. I hope he can forgive me for my initial reaction for he is incredible and will prove that he can do anything. I remember how happy I was when I heard my little cousin was having a baby. The same little cousin I was never too close to due to age difference and perhaps technicalities only making us “cousins-through-marriage.” Regardless of the details, I always thought so fondly of this little cousin and could not be happier for her. When I received the news that Zachary had graced the world with his presence, I couldn’t wait for pictures. Over the next few days, the news of Zack’s diagnosis made it’s way to my side of the family. It didn’t necessarily shock me or devastate me as it may have others. I am a Special Education teacher so I know how much love these special little munchkins have to offer and how they seem to brighten any room they enter. I was however, worried for my little cousin and her family. I didn’t know how she was feeling. I didn’t know how her family was feeling. I know it takes a special kind of person to accept the challenges life throws at them and while I was pretty sure she was just the type of person to handle it, I can’t begin to understand how she must be feeling. As the days, then weeks, then months passed by I received updates and saw pictures but still wasn’t quite sure how my little cousin was feeling about motherhood. I knew the holidays were approaching and I was keeping my fingers crossed I’d be seeing her for Christmas. I was looking forward to giving her a big hug and seeing for myself how she was handling these “challenges” that life had thrown her way. I also secretly couldn’t wait to get my hands on this cute little bumpkin I’d only seen through pictures! I remember walking into my mother’s house and seeing my cousin across the kitchen, snuggling with her little man who was sacked out in her arms. It only took a second; just one quick second and it was clear. My little cousin was not only glowing, she was a natural at this whole “motherhood” thing. And really, how could she not be? Because that was also the moment I met Zack… and in that moment, I fell in love too. Like most people my age, I had little prior experience with Down Syndrome children; certainly there had been none in our family or of close friends of which I was aware. During my day these children were pretty much hidden from the public, either kept sequestered at home or sent to special schools or institutions. Only occasionally would we glimpse a DS child (commonly called by that horrible name “Mongolian Idiot”), outside the home, usually being forcefully led by an older and frequently poor woman. We rarely if ever saw an older DS person. So, having Zack being born into our family was met with not a little apprehension, sadness, deep concern for his and his parent’s future, and, of course, a great deal of ignorance. But from that moment on we started to become more educated, more hopeful and more welcoming of this child, almost on a daily basis, through Google and his Mother’s blogs and updates, and, of course, by just being with Zack himself. Seeing him for the first time, I was taken aback by his shock of sliver-blonde hair and fair skin (I didn’t know “they” came in different colors) and his surprising lack of what I had come to think of as “typical” DS features: swollen protruding tongue, Asiatic eyes, etc., though they are present at times if you look long and hard, but to me they are still not very obvious. And, of course, there was no way at that time to really judge his intellectual abilities which is also one of the characteristics of DS. But as the months went by, you tended to notice more his smile, warmth and easy disposition. He just didn’t seem to fit squarely in the DS box that I had been brought up to expect. Sure, his legs were disproportionately shorter than his body and his motor movements seemed to lag behind others of his age, but none of that seemed to hinder him from getting around – often too well – using his “crab crawl” or to keep everyone, myself included, from wanting to hold and cuddle him at every chance and to respond to his smiles. When I first started working at NDSS, I did not have a personal connection to Down syndrome. I knew a little bit about Down syndrome and knew the physical traits but I did not know much else. Coincidentally, I started in September which was Buddy Walk® event month and the first event I worked that had interaction with the families. Meeting the families and being around people with Down syndrome changed my life immediately. I noticed how dedicated and devoted parents of children and adults with Down syndrome are. I noticed how many different personalities, abilities and interest people with Down syndrome have. Some people I met were dependent on their parents and families and others were totally independent. Some kids were well behaved and others were not. Some had jobs and families separate from their immediate families. Some needed some extra attention and support. And with noticing all that, I noticed that children and people with Down syndrome were just like typical children and people; with different degrees of abilities and accomplishments. Fundraising for NDSS promotes value, acceptance and inclusion of people with Down syndrome. We have a policy center in Washington, DC, whose purpose is to fight for the legislative rights of people with Down syndrome. We have an extensive website with current information about Down syndrome-programs, health, education, and transition. We have publications that range from new parent information to an aging guide. We also provide scholarships for post-secondary education programs. Your donation will benefit these initiatives so that children like Zack have the same opportunities as anyone else. So in closing, when I first started working for NDSS it was just a job. Now, 12 years later and thousands of connections to Down syndrome, it’s my life’s work.